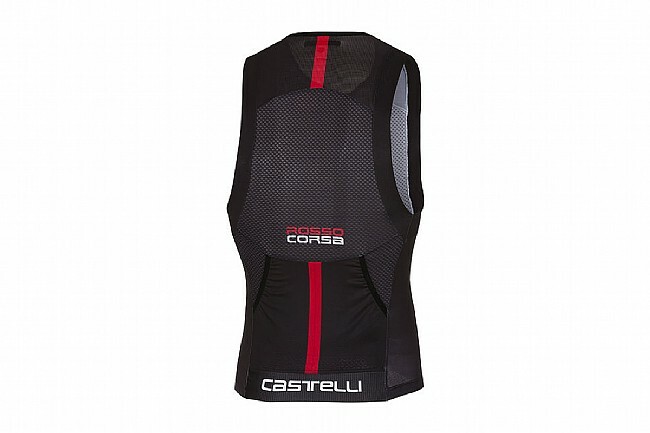 Castelli’s Men's Free Tri Top was meticulously engineered to provide breathable, comfortable, and aerodynamic performance for those looking for tri-specific design. To ensure the compressive SpeedFreak race fabric and cooling Velocity mesh actually achieve their top priority, Castelli submitted the Free Tri Top to wind-tunnel testing and found that it delivers the on-the-bike speed they hoped for. 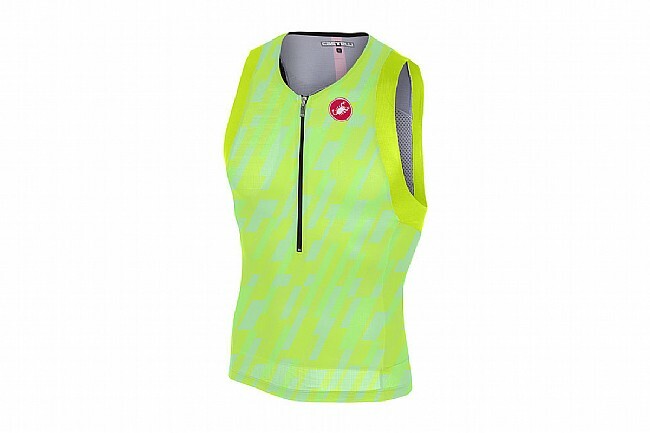 Featuring two high-capacity FreeAero rear pockets, this top can store ample nutrition. To make sure everything stays in place, there’s a SnapLock fastener at the hem to attach to your shorts. For enhanced comfort, the armholes of this sleeveless design have a soft-finish which helps reduce friction and irritation.